It is no surprise that the price of a product can drives its popularity. 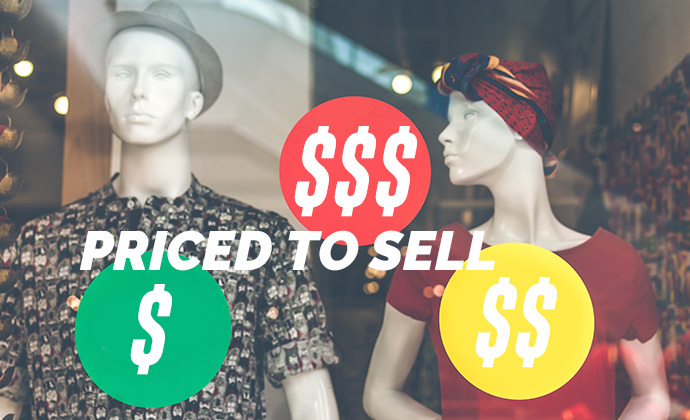 However, pricing can also lead to positioning that can win more meaningful sales. What does this mean? When an average customer goes to the grocery store to buy a staple like milk, he typically will walk to the corner of the store for the product. The location of dairy will frequently lead to more sales because customers must walk down various aisles and see other products that are advertised at reduced prices or could be desirable just as they are seen. This is not retail rocket science but standard practice. What may be less obvious is how pricing can sometimes manipulate choice. In retail, suppliers will set up displays with appealing graphics and price points to draw customers. That’s not really an option when selling promotional products to corporate clients, but giving away samples as gifts can and does incentivize purchasing. Pricing here can enhance a sale. To illustrate, consider the purchase of a coffeemaker. A customer may wander into the coffeemaker aisle looking to purchase a new coffeemaker and is greeted with a cheap $10 model and a high-end, full-featured $100 model. But dominating the shelves and strategically positioned on lower shelves is a $25 model discreetly on sale. In reality, the cheap model and deluxe models are positioned to manipulate the decision toward the $25 model because retail understands customers don’t want something so cheap it breaks quickly, but they also do not want something so expensive and will naturally gravitate toward the product they’re attempting to sell, the $25 model. Promotional products can be sold in similar fashion. When exploring options, instead of talking about budgets and price, the presentation of expensive pens and gadgets along with cheap ball point pens and T-shirts can drive exposure of the “$25” model product that you know gives you a good margin and earns a decent profit. Just grabbing a few samples to throw at a client is better than nothing, but with a little planning, you can ensure more lucrative sales with price-positioning tactics.